Ever since I received my camera and reinvigorated my birding in the Spring of 2011, I have been eagerly anticipating an Arizona winter. Granted, it's not that unusual for Arizonans to yearn for the cooler months, but this time around there was a special interest. This would be my first year seriously observing the migratory waterfowl that congregate in the southern states every winter, and a real opportunity to fully explore the urban birding options here in Phoenix. As the hot summer turned into a hot autumn, we waved goodbye to the White-Winged Doves and Orioles, and with eager eyes the Arizona birding community began to watch the swelling numbers of birds on the ponds. For the lucky birders and ambitious chasers, there have been all kinds of unusual sightings in Arizona this winter. Various Scoters have been found throughout the state, and surprise visits from Trumpeter Swans, Red-Breasted Mergansers, Red-Throated Loons, Eurasian Teal, and all kinds of transient Gulls have kept many the birder on the road. Even without participating in these exciting chases, I've done my best to find all of the expected winter migrants, and have vastly expanded my sightings this year. Having never before properly experienced the winter migrations, this season has done wonders to expand my appreciation of North American waterfowl, of the color, serenity, and occasional mischief they bring to our humble ponds every year. 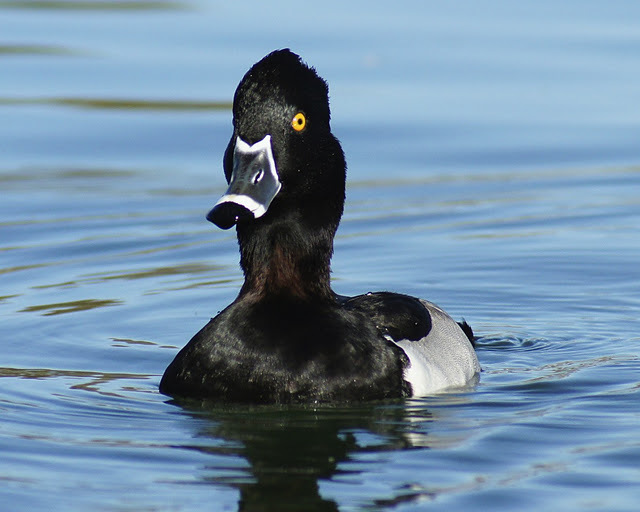 Some of the most numerous and punctual arrivals in Phoenix are the Ring-Necked Ducks. 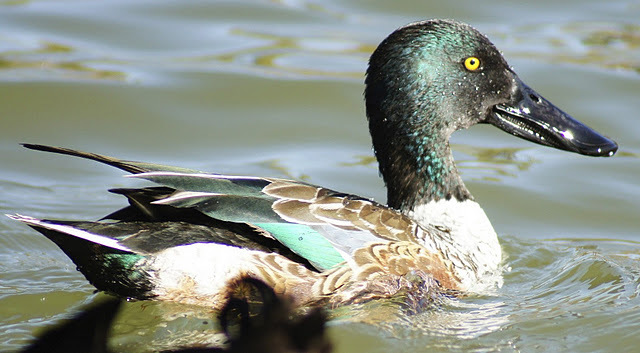 Looking at the conspicuous white ring on the beak, and the partially visible rust-belt along the bird's neck, one might rightly wonder why this couldn't be labelled the Ring-Billed Duck. Naming troubles aside, they're striking birds that can be found atop just about every pond in Phoenix. The Ring-Necks are a bit more petite than many of the other migrants, but also have the advantage of being able to dive for their food if necessary. The starkly contrasting whites and darks make for an interesting photographic challenge, but given their staggering numbers, they provide plenty of practice throughout the winter. If you're persistent, lucky, or maybe even persnuckity (no, that's not a word), there's the off chance you'll find a Eurasian Wigeon trying to blend in among his green-headed cousins. I stumbled upon this beautiful bird when I decided to take a break from Christmas shopping and explore some nearby ponds. As it turns out, this was one of the only Eurasian sightings reported on the AZ listserv for the 2011 year, so yes, it was pretty cool. I think my favorite duck, at least this year, has to be the Northern Shoveler. With their preposterous proboscises and splashes of color, they cut a unique and beautiful silhouette on any waterfront. This madame is looking a bit front-heavy, for rather obvious reasons. 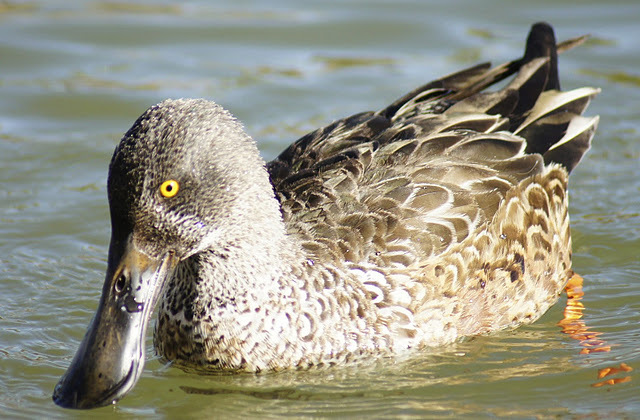 The signature beak of the Northern Shoveler is used to excavate and filter small invertebrates and other edibles out of the muck. I cannot understand why there are all of the different domestications of Mallard when people could have these darling diggers helping them out in the garden. Here is the male Northern Shoveler, impressive from all angles and stunning from some. 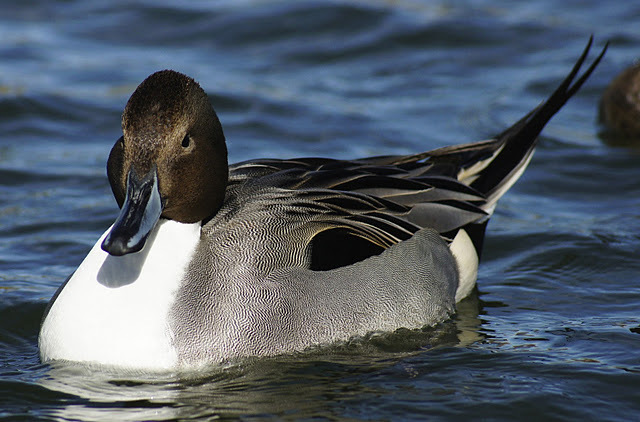 There are few ducks or birds of any kind more handsome and elegant than the Northern Pintail. This is a bird whose plumage I am at a loss to describe. The male sports a better 3-piece suit than any I've ever seen in a men's shop. The sort of labyrinthine, zebra-striping on the flanks and shoulders are complimented by the gray-black wings and obsidian coattails. The white front extends up and behind the bird's head, forming a spiffy collar that accentuates the rich brown. Sleek and shiny, the Pintail is hard to miss, and near impossible to ignore. Not all of the winterfowl are so blessed in their coloration. Someone has to be at the duller end of the spectrum, and that position seems to be willingly filled by the stately Gadwall. 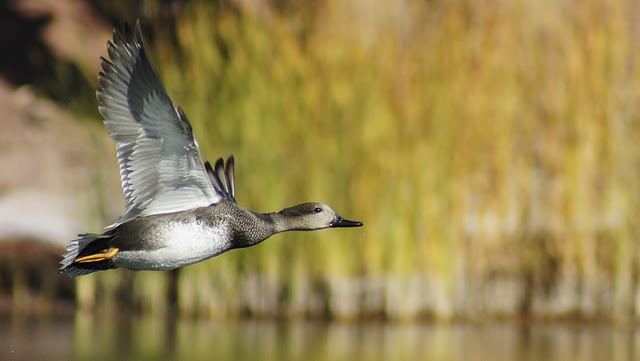 Upon close inspection, the Gadwall also has plenty of intricate detail in its plumage, but they still don't leave quite the same first impression as a Pintail or Shoveler. And not all of the winterfowl are cooperative either. Everyone has his or her nemeses, and for me it was definitely the Teal group. They were seldom comfortable without 30 yards between us, and if they did stay up close, it was always with a condition. This male, for example, just preferred to keep his face in the mud and scoot around in a most taunting fashion. Peruse enough of the ponds, and you might come across a bird or two that seems out of this world. More accurately, the Mandarin Duck is just out-of-this-continent. 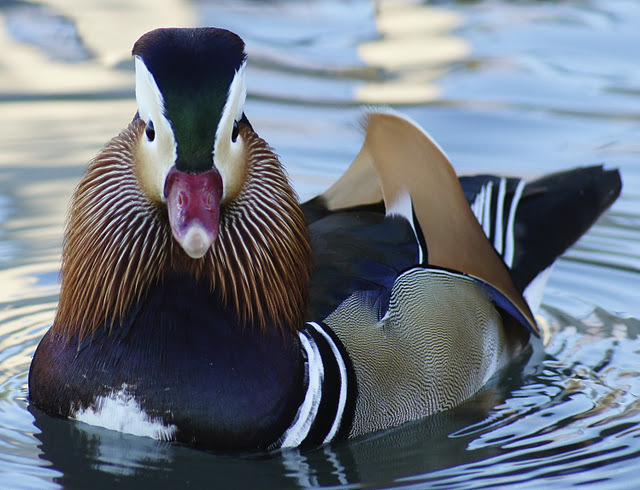 Every now and then one released or escaped bird is seen around the city water features, though the Mandarins have also established small breeding populations in a few localities around North America. Even the most cursory glance reveals that this is not a bird from North America. It seems to combine the facial features of the Wood Duck, a close relative, with the Green Heron and the Cedar Waxwing all at once, but the recognition ends there. This Mandarin Duck was floating quite contentedly on a small pond in Tempe. 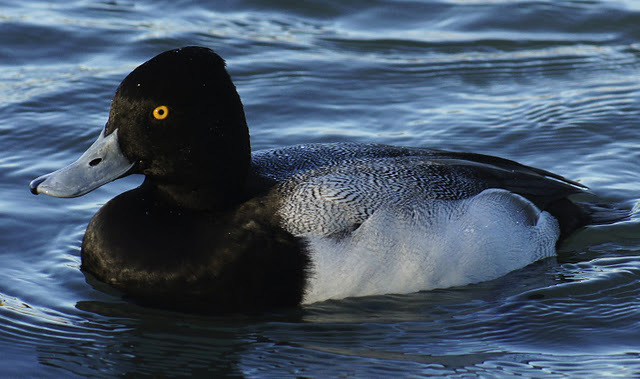 Mingling shoulder to shoulder with this oriental beauty was another winter staple, the Lesser Scaup. The Scaup is rather muted by comparison, despite being the most widely distributed duck in North America (after the Mallard). But it wouldn't be winter time without the Scaups floating about, providing the backdrop for the more glamorous winterfowl. They're gone. See ya next year. 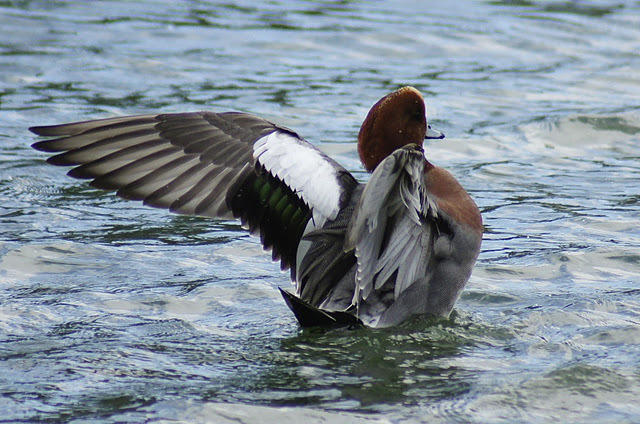 Great post Laurence, loved seeing the images of these beautiful ducks. Thanks Mia. We're glad to borrow them from you more northern folks for a couple months. Laurence, I love love love your writing. Great post! You write wonderfully and your pics are exciting. I cannot wait to go for my hike today. Thanks for pumping me up. It has been an exciting year of birds. I absolutely love this....and for some reason, like you mention, it all has to do with having a good camera. I love photography and birds and so with a nice camera, I'm able to get some great shots. In fact, I think I snapped an Eurasion Quail last weekend. But I'm not sure on the identification. Hope you have a good weekend. Thanks very much Rohrerbot. I hope the day's excursions treated you well. I'm looking forward to seeing that Eurasian Quail! I've found that having a camera makes me focus so much more and study the birds so much more intently. It also keeps the possibility for capturing and sharing some beautiful slice of nature alive with every step you take. Beautiful pics of your ducks, The Mandarin Duck has so nice colour markings in the "clothing"
That Mandarin Duck was a floating fiesta. It was quite shocking to see for the first time, a kind of, "Wow! That's can't be real" moment. Great post! 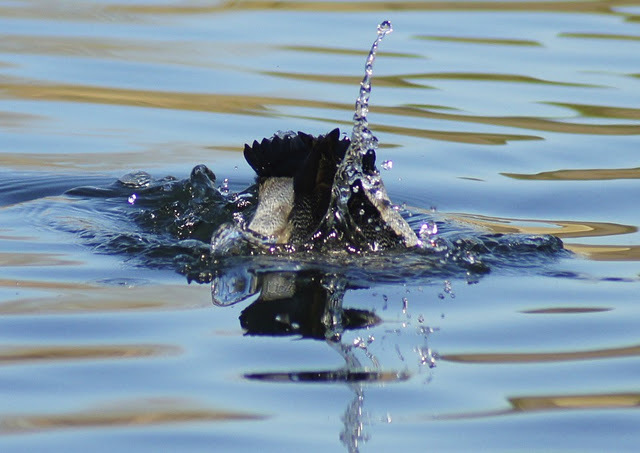 Those pintail shots take the cake, you totally captured how elegant and graceful they are! A most fabulous post filled with a wonderful narrative and outstanding photographs! Stunning close-ups of all the beautiful ducks! 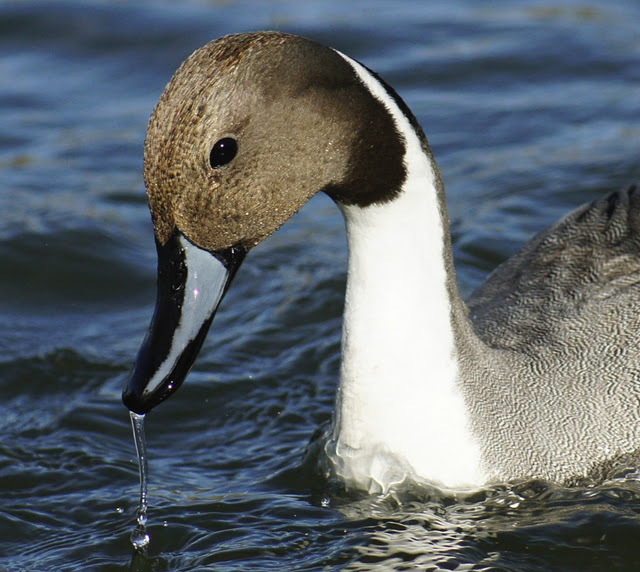 The elegant pintails are a sight for sore eyes. Looks like Phoenix is a marvelous place to view waterfowl during the winter season. Thank you Julie. Phoenix does have its perks, and perky ducks are one of them. Ducks are lovely subjects since they combine color, size, and generally slow movement. With this being such a seemingly short and warm winter, I'm sure they'll be heading back up to your area pretty soon. Unbelievable shots, top quality photography. Thanks Marc! To be fair, a lot of these ducks are pretty used to people around the ponds and tolerate a close approach, and others were taken through my submarine's periscope. 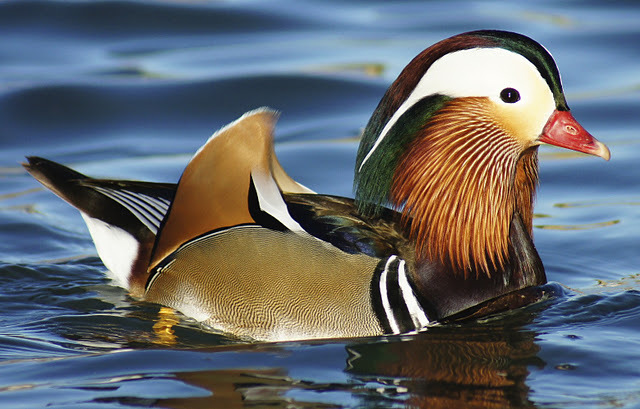 How did Mandarin and Wood Ducks evolve???? Baffling. Can I borrow your submarine? Or...devolve!?!? Yeah those must have been some picky picky females that prompted such a development of flamboyant plumage. I'll have to take the ol' sub up the Pacific coast here one of these days and drop it off. Outstanding photos Laurence!!! 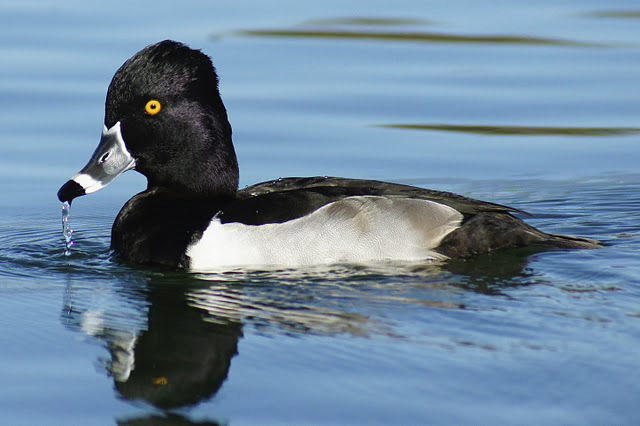 I absolutely love your Ring-necked Ducks! You've captured them perfectly! That's a great variety of birds you have there for the winter. Thanks Tammy! It's been a great season, and there's no end to the birding fun. I find it fascinating too which birds jump out to people (in general, not just this post or any other 1 post). 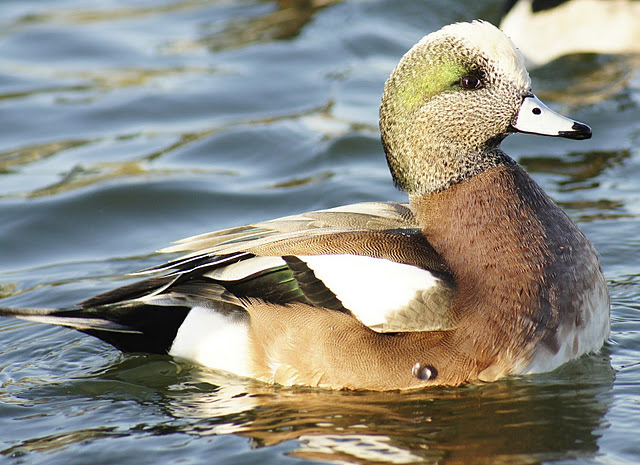 Some people love Ring-Necks, some gravitate towards the Pintails and others the Wigeons. I'm still loving the Shovelers most myself. Thanks Dan. Every once in a while it works out mighty fine.